Each moment, every single moment, we either create a dream or a nightmare, as each moment we either choose to live or we choose to kill the opportunity to live. Rabda has attempted suicide and chances are that he is going to die. Sai Baba of Shirdi enters the hospital room and awakens the spirit body of Rabda. The two, Master and Musician, converse life, death and everything in between. Set in the present, Rabda takes the reader to the past, to when the Sai lived in His physical body. Tge life and philosophy of Sai Baba of Shirdi are revealed, often in His own words, and questions pertaining to Him and spirituality are answered. 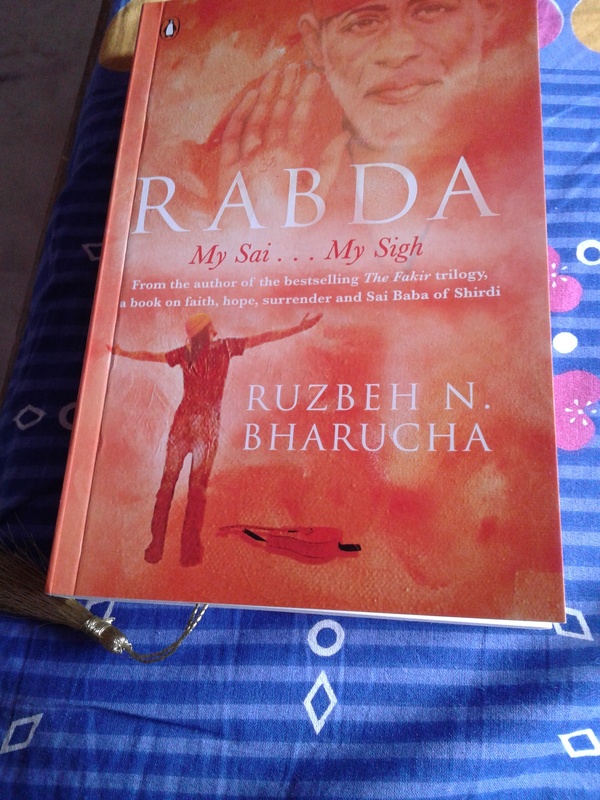 A powerful, spiritual read, Rabda is a journey you really do not want to miss. My first encounter with a spiritual book and it couldn’t get better than this. Rabda My Sai…My sigh has been an wonderful read. Caiz is a Rockstar yet a lonely person at heart. Caiz has attempted suicide and is in coma when Sai Baba enters his ward in the hospital. One touch of Baba and Caiz wakes up, but his body is lying on the bed. Is he dead? Dreaming? Hallicunating? Sai Baba takes Caiz with him in a Cave. Sai and Caiz indulge in conversation, Conversation upon conversation, questions upon questions, answers upon answers, stories upon stories about life, death and more importantly about Sai and The Oneness. Sai narrates many stories of his disciples; of his children. Stories of while Baba was alive and stories of after Baba left his physical body. Baba talks about Karma, Charity, Re-Birt and about Oneness. Either you believe that God does not exist, there is no Supreme Power running this grand show, or you believe in a just God.you cannot believe in a God who exists but is unjust. Just how Baba helped people understand the concept of Oneness, Ruzbeh N. Bharucha helps people understand why Baba was what he was. When you reach a state of God-realisation, you come to the conclusion that everything is One. Normally, people think Spiritual books are boring but, let me tell you Rabda is nowhere boring. Ruzbeh N. Bharucha has made sure that the reader doesn’t gets bored. Conversation between Sai and Rabda (Caiz) and both calling each other with different names as if both were long lost friends, just shows how much Sai and Rabda loved each other. Read one chapter daily and your life will be sorted.